CJ Locksmiths - Locksmiths in Buckley, Flintshire. Locksmith available 24/7. • If you are locked out call us anytime and we aim to come out within 30 minutes - 24/7. • We can open cars, houses and offices. • Areas covered: Flintshire, Conway, Denbigh, Wrexham, Chester, Rhyl, Wirral, Ellesmere Port and surrounding areas. • We do not have call out charges or add VAT. • All major credit/debit cards accepted. • We are NCFE Level 3 qualified. Are you aware of Lock Snapping? You may have seen the recent programmes on the BBC about Lock Snapping, where burglers can gain entry to your home in under 60 seconds! We are registered installers for UAP Tradelocks who supply the British Kitemark approved UAP+ Zero Lift Cylinder. 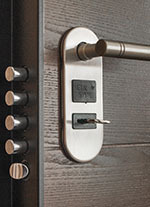 Call us now to check your locks and arrange an installation. uPVC Specialists - We can repair your doors and windows. • Specialists in uPVC door and window repair & replacement, including hinges and locking mechanisms. Find out more. • Misted or broken glass replaced. • Lock upgrades to BS3621. • Burglary repairs & replacements / boarding. • Moving in to a new home - get your locks changed. • Anti-break in devices for garage doors. • Caravan security posts installed on driveways. • Wireless alarm systems supplied and installed for under £300. 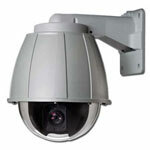 • CCTV and access cameras via your mobile phone - check up on children or elderly relatives. Landlords, Bailiffs, Letting Agents and Estate Agents. C J Locksmiths are an independent family run business providing all your locksmith needs, along with one of the best rates in the area, and no VAT charges. ...Chris immediately visited the property and changed the lock to the landlords delight... read the full letter from Hardings Homes Ltd. ...I would personally like to thank Chris for the work he did on my Mum's property... read the full letter from Craig Murphy at CM Flooring. ...Great job, I would not hesitate in recommending Chris to family and friends... read the full letter from David Thomson, Mersey Signs. We are members of the UK Locksmiths Association, possess Public Liability Insurance and have been checked by the Criminal Records Bureau. 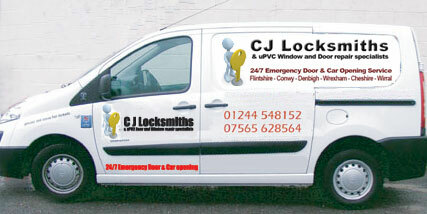 C J Locksmiths, 15 Kiln Close, Buckley, Flintshire, CH7 2JR.